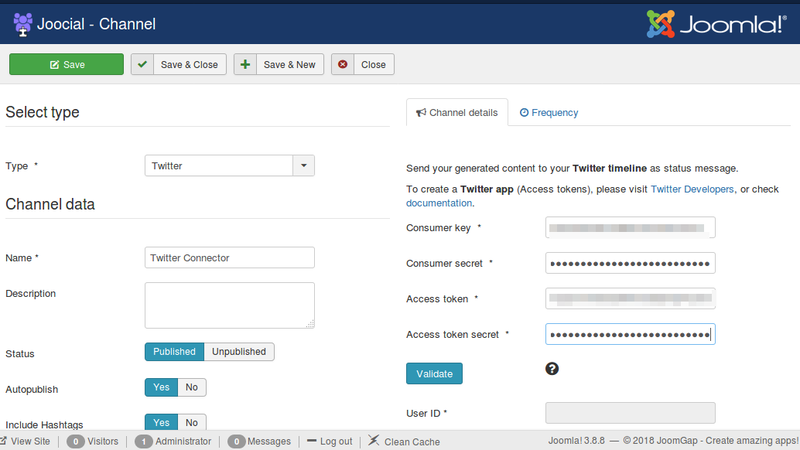 In this tutorial, we are going to show how you can autopost from Joomla! 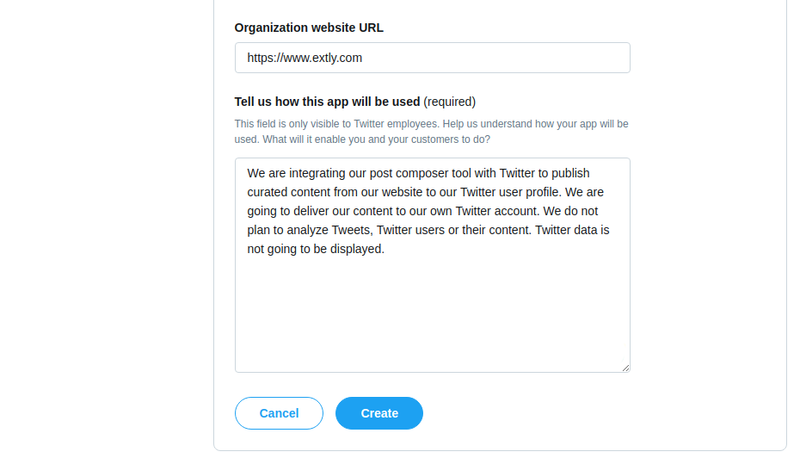 to Twitter. 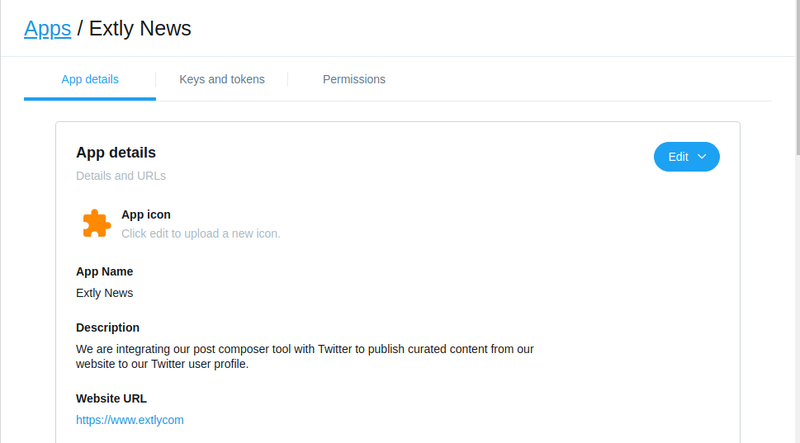 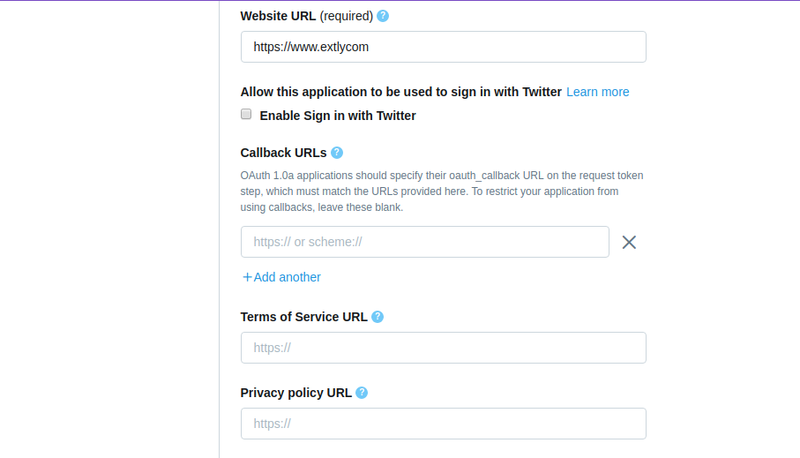 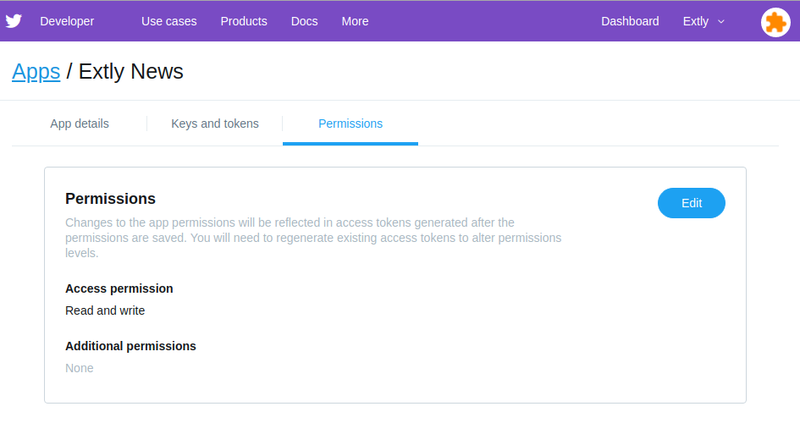 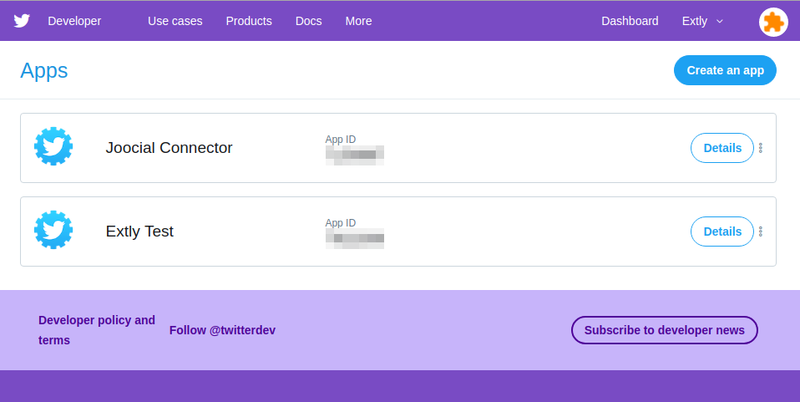 As of July 2018, you must apply for a Twitter developer account and be approved before you may create new apps. 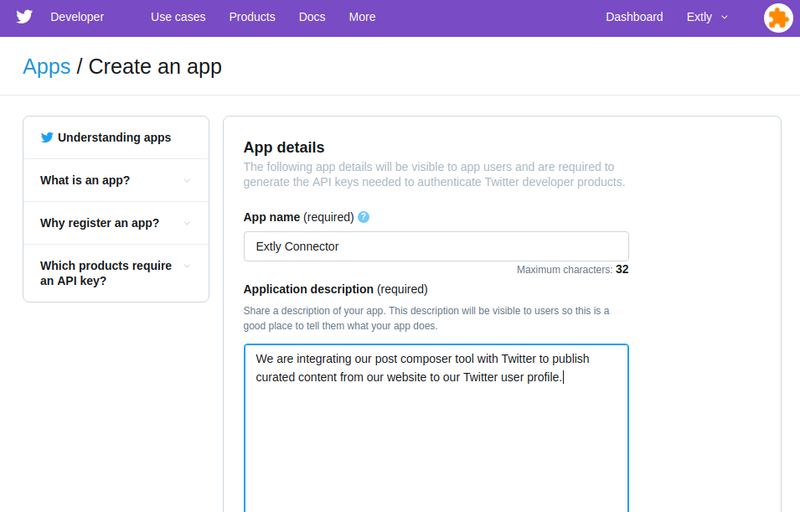 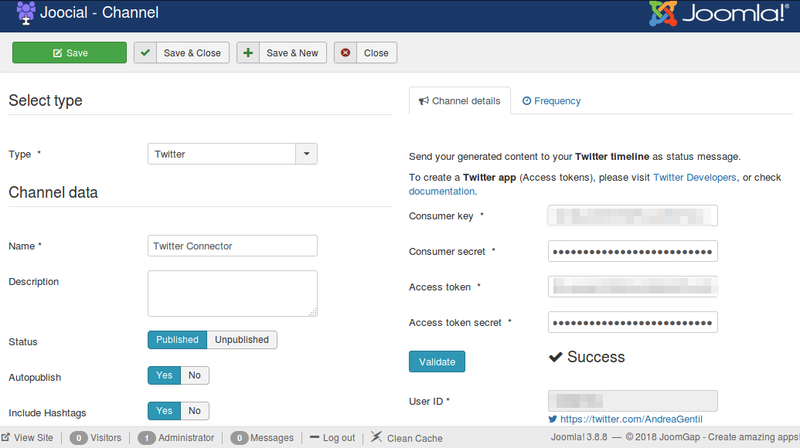 Once approved, you will be able to develop new apps from developer.twitter.com . 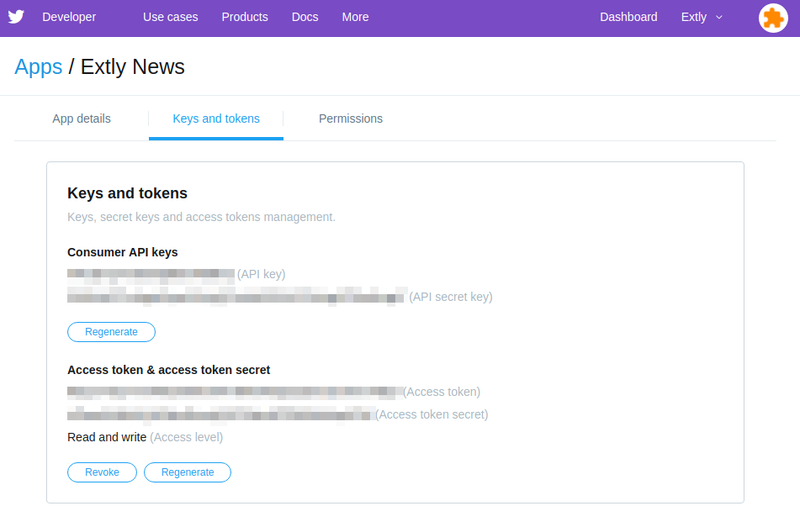 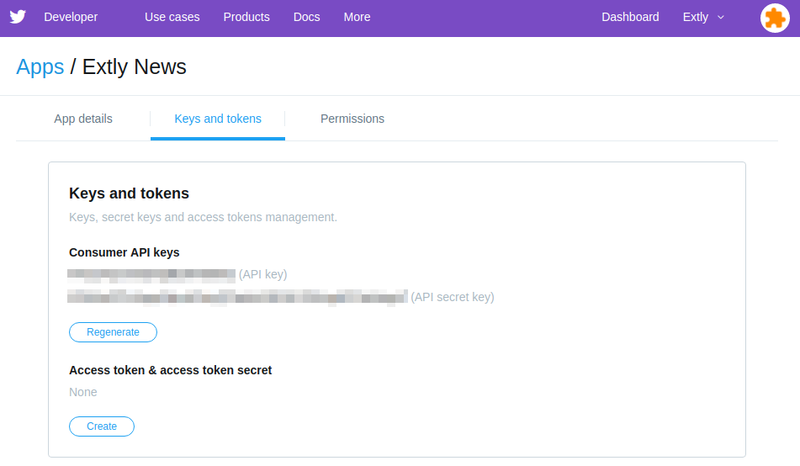 Go to Keys and Tokens to find your Consumer API Keys. 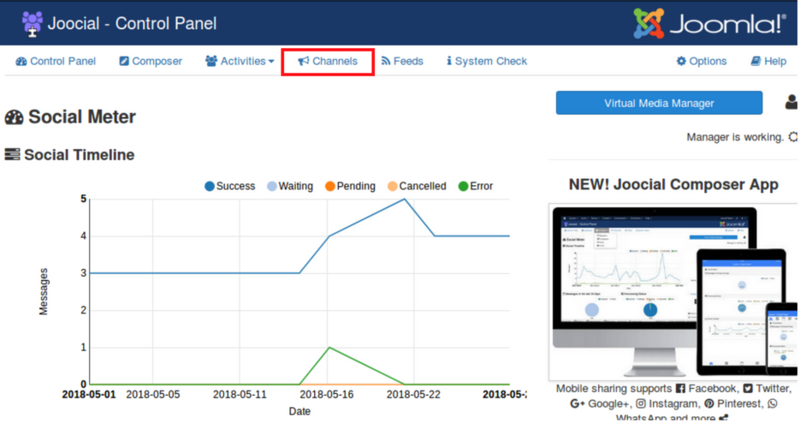 On Channel Tab, click on New, select the Channel Type and complete the Channel Data, Consumer Key, Consumer Secret, Access Token, Access Token Secret.